← Blogs for Sale on Kindle – Selling Ice to Eskimos? According to a report in the NY Times, Google is preparing to enter the e-book market and take on Amazon. The delivery platform is unclear, but it does not appear that Google is favoring any particular e-book device at this time. Details are also lacking about whether Google would support open standards or take a proprietary approach. The e-book pricing hasn’t been finalized, but Google has hinted it would probably be more open than say with the Amazon Kindle. So let’s say that Google jumps into the e-book market in a major way. How might this change the market? Here are some speculations. Google links e-books with Book Search. While Google has said it has no plans to do this, it certainly is a strong possibility. Books scanned today as PDFs can be scanned into e-book formats just as easily. Search – view – purchase – download. Seems logical. Google becomes the Book Scan of e-books. With its own reader or in partnership with reader manufacturers, Google tracks not only what e-books readers browse and purchase, but how they read them after purchase (think Google Analytics with a “phone home” capability). Publishers use the anonym-ized information to better understand what readers really want. Google redefines the e-book experience. Again, with its own reader or in partnership with reader manufacturers, Google provides a more connected reading experience where book lovers can share what they’re reading with others online. Google embeds advertising in books. Print books today often have a page or two in the back showcasing similar books of interest. It wouldn’t be a stretch to include a Book Search type of capability in an e-book. 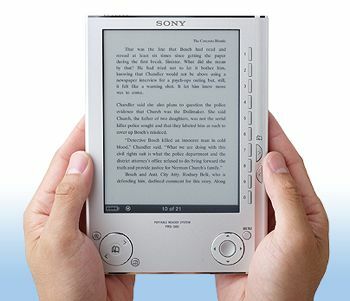 A connected reader could view the preview and make the purchase / download immediately. Google becomes a publisher. Google could provide tools to make it easy for authors to publish and market their works directly as e-books. Absurd you say. A short while ago you might have said it was absurd to think Google would be a bookseller. 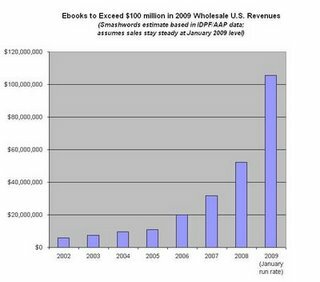 ebooks – Toward a Tipping Point? Is XML the New Center of the Publishing Universe? This entry was posted in book marketing, open publishing, publishing strategy, publishing technology and tagged e-book, Google. Bookmark the permalink.